The word “sustainable” holds different meanings for different people across different sectors. In context of the FT/IFC Sustainable Finance Awards it refers to environmentally and socially responsible banking and investment. Last week we got the news that Standard Bank Group had been named by Financial Times and International Finance Corporation (IFC) as the most sustainable bank in Africa and Middle East. These awards are decided by leading thinkers in this field and we see it as a reinforcement of our efforts to embed sustainability thinking and practice into the heart of our business. We proactively embed sustainability thinking and sustainable business practices at every level of our business. This touches not only on the products and services we offer, but also in how we address our own operational footprint, which is significant given our operations across Africa. 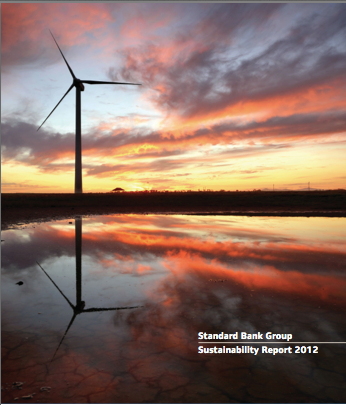 Have a look at our latest Sustainability Report for more on what we do as a sustainable business. You will find it at www.standardbank.com/sustainability.